Altadis USA is home to some of the oldest and most well-known cigar brands in the world. And though the company offers a host of legendary brands, they typically reserve their best, most luxurious tobaccos for their renowned Montecristo cigar line - perhaps the most famous cigar brand in the world. Introducing the all-new Montecristo White Vintage Connecticut - a complex, rich, and refined offering that has been harvested from Altadis’ farms in the unique Connecticut River Valley. For centuries, this special region of the US has been known for its superior-quality wrapper tobacco, due to the unique climate and sandy loam soil from the Connecticut River Valley. 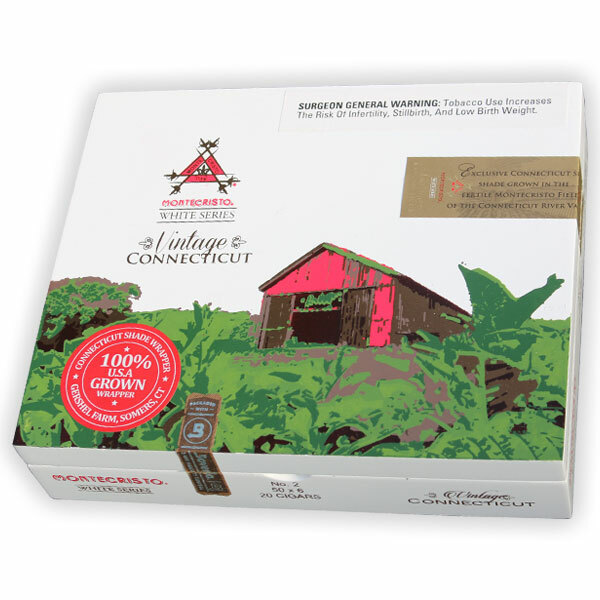 For this new release, the Altadis artisan blenders have incorporated a select Connecticut Shade Vintage 2008 wrapper to be blended with a Nicaraguan binder and fillers of Nicaragua, Dominican Republic, and Peru.